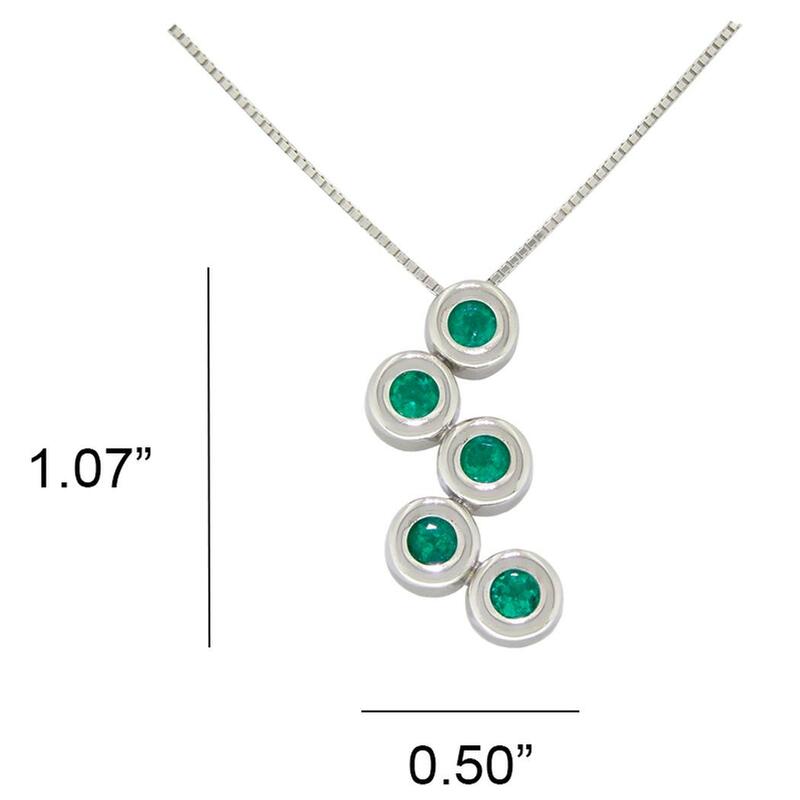 This fantastic emerald necklace is made in 18K white gold in a bold and beautiful design. 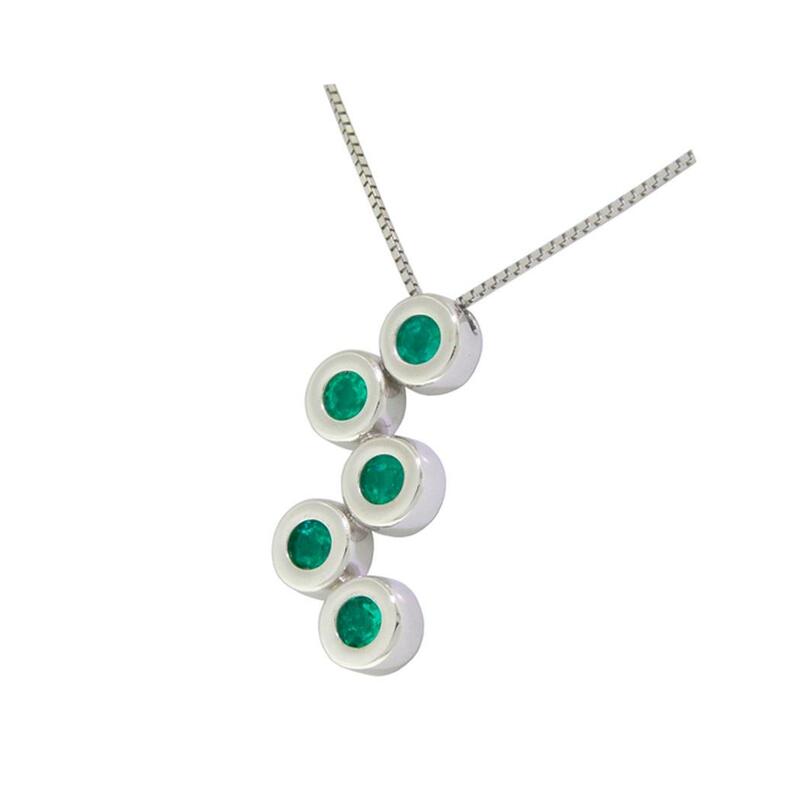 The five round cut emeralds share a gorgeous medium dark green color full of life and excellent brightness. 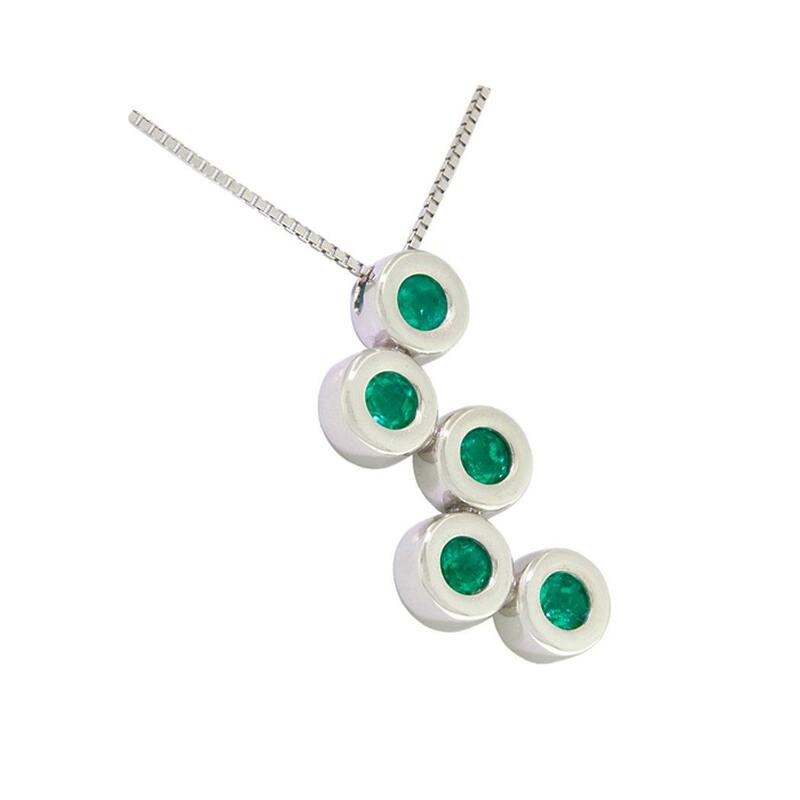 The fine contrast of colors and the smooth work around the gems allow this necklace to look great in any occasion, for sure the perfect gift. This wonderful emerald necklace is also available in yellow gold.